MyWorkDrive gives your enterprise secure file share access without VPN using your Windows File Shares & Active Directory infrastructure. Remotely edit and share files simply and securely. No Vendor lock-in, No syncing or migrating to a cloud needed. MyWorkDrive lets you add cloud functionality to your own file server shares. Eliminate VPN support costs and security risks for file share remote access with our easy to use Web File Manager, Mapped Drive or Mobile apps Learn more..
MyWorkDrive provides the necessary safeguards to help companies meet their security requirements and compliance standards such as FIPS, FINRA, HIPAA and the EU Data Protection Directive GDPR. Learn more.. Prevent data breaches, data theft, ransomware, malware, and other cyber threats with built-in Data Leak Prevention (DLP) features. Prevent downloading and sharing while allowing secure encrypted viewing of all files with Watermarks and timestamps to protect your files. Learn more..
Our secure file sharing software is the only solution that enables enterprises to remotely edit and collaborate on documents within a browser window or Office Mobile apps on iOS or Android, using Office Online while keeping files stored on their own company’s server. Learn more..
Access your files remotely using any web browser with our Web File Manager. Our Web File Manager is the most elegant and user friendly in the industry loaded with the features users need with nothing to install. Learn more..
Connect to your files remotely using our MyWorkDrive Mapped Drive Client which allows users to securely map a drive to their work files from anywhere without Sync or VPN. Optionally enable our Two Factor Authentication for additional security and compliance. Edit local Office Documents in Microsoft Office Online while keeping files saved to your own servers. MyWorkDrive is the only service that allows companies to edit office files online and save back to their own infrastructure. Learn more..
Share files internally with co-workers for ease of access and collaboration. Publicly share files using our OneDrive integration without compromising security. Learn More..
Securely connect to your work drives using our MyWorkDrive mobile apps or edit directly using Microsoft Office Mobile Apps on iOS. Includes optional DUO Two Factor or ADFS/SAML authentication support. Prevent data theft, loss of company data and ensure compliance while still allowing viewing and editing of files and shares online. All user file sharing access is secure, logged and searchable with watermarking and time stamps. File shares can be locked down to prevent clipboard copying or printing within our encrypted viewer. Administrators can configure MyWorkDrive to provide alerts on suspicious user activity. Learn more.. Unlike services that require upload of your confidential company data, our service leaves all shared files on your servers intact. We don’t store your data nor your passwords – everything remains under your control in your own private cloud. Learn more..
Enterprises can take advantage of our DUO.c om integration to require two-step authentication for secure file sharing remote access to any files. 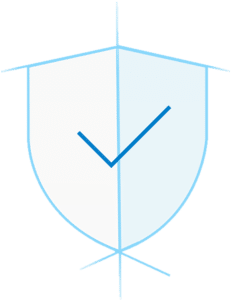 MyWorkDrive provides the necessary safeguards to help companies meet their security requirements and compliance standards such as FINRA, FIPS, FEDRAMP, HIPAA and GDPR. Learn more..
MyWorkDrive has been awarded the Skyhigh CloudTrust™ rating of “enterprise-ready” for its MyWorkDrive Secure File Sharing remote access software by the Cloud Security Alliance (CSA). Learn More..
Our native Windows Active Directory integration only takes you a few minutes to deploy. Easily publish existing Windows Shares and who can access them. Use our Web File Manager, Mapped Drive application or your phone to access your files from anywhere. Easy file share remote access using any web browser with our Web File Manager, Mobile Device or Mapped Drive app. Instantly create your own private cloud and collaborate without sync or migrating your files. Learn more.. Enjoy rapid deployment with more security, simplified setup and no expensive hardware — all under your control. Question? Complete our information request form.